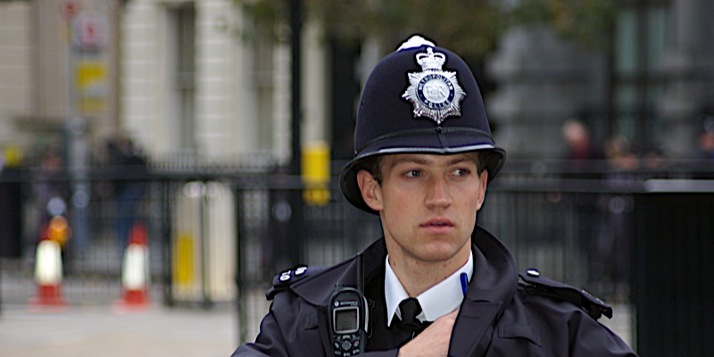 Should the UK opt-out of all EU police cooperation? Under the Lisbon Treaty, the UK government must decide in one year’s time, by 31 May 2014, whether Britain will remain part of approximately 130 existing EU police and judicial cooperation measures, including the European Arrest Warrant (EAW) – which speeds up the arrest and extradition of suspects from one EU member state to another – and Europol, the organisation that co-ordinates the fight against organised crime and terrorism in Europe. According to the terms of the treaty, the UK would have to exercise a bulk opt-out from all police and criminal justice cooperation, and then would likely opt back in to those measures it liked (a process that might be complicated by rising frustration towards Britain’s EU policy in some European capitals). The issue is one of many that are currently straining relations between the two parties in the governing coalition, with the more pro-European Liberal Democrats arguing they will not support the bulk opt-out unless Britain immediately opts back in to Europol and the European Arrest Warrent (an instrument seen by some in the more eurosceptic Conservative party as allowing British citizens to be extradited to foreign jails for trivial reasons). No more cherry-picking is my attitude. How can we build a functioning union if every state picks only what suits them and opts out from what doesn’t? There will be no ‘union’ if this happens! To get a response, we took Christos’ comment to Cecilia Malmström, the European Commissioner for Home Affairs (who also happens to be from Sweden, a country with a de facto opt-out from joining the euro). With the UK now deciding whether or not to opt-out from so many police and judicial cooperation laws, could she understand why Christos thought this was unfair? We also put the same question to Juan Fernando López Aguilar, a Spanish MEP with the centre-left Social Democrats group, former Spanish Minister of Justice and current Chair of the Civil Liberties, Justice and Home Affairs Committee in the European Parliament. How would he respond to Christos? UK withdrawal from EU cooperation in Justice and Home Affairs will be harmful all round. Hannes Swoboda: “Britain’s place is in the European Union” – Does Cameron want the UK to become the new Turkey? What do YOU think? Should the UK government use its opt-out from all police and judicial cooperation, including leaving Europol and the European Arrest Warrent? How would this affect the fight against crime and terrorism? And is it unfair that some countries have these opt-outs, whilst others don't? Let us know your thoughts and comments in the form below, and we'll take them to policy-makers and experts for their reactions. Is it unfair the huge gap among member stares regarding political and economic unification?? There are no advantages for us, only costs. If we are out, we can throw EU migrants out that are now stealing our jobs, undercutting our workers. How can it be fair when everobody is equal, but some can more? Of course it should not the UK needs a leader that will commit to full membership including the Euro. Of course it should not. The UK needs a leader that will commit to full membership including the Euro. It the case of equality…I am glad to hear that other Europeans think it is right that the British people are also allowed a referendum on their EU membership…hey if you want equality, lets have it everywhere! two points…dont confuse the wishes of British politicians with the wishes of the british people, and secondly, anyone who wants equality doesnt understand that when it comes to human beings we are all different – respect the difference, instead of demanding equality! It is only British politicians keeping us in. Seems fair to me. Why force a nation to adopt a set of rules that it doesn’t believe are in its best interests (whether they make sense to you or not?). UK also seems able to opt in to parts which are relevant to its requirements and those that are important to its partners! Instead of complaining about the UK can’t the EU just meet it halfway, and take on a few British initiatives (Always seems publicised as one way traffic either locally or abroad!)? As a pro-Eu Brit I must say how the majority of British people were conned out of full membership of the EU by the right-wing press and politicians is disgraceful to say the least. These laws are created by elected Meps and commission for the benefit of people and I do admit lesser membership works in favor of some countries like Scandinavian countries but not the UK. As regarde to the referendum it is all for the wrong reasons as a way to get votes and is unlikely to happen. A so great and important project should have been ratified by an opt-in referendum in all countries to build a real and strong union. Which is the best, an half Union of 28 or a full Union of 10? nothing is permanent…..history is full of examples . Theresa May is merely showboating to the Tory backbench Swivalent Tendency. National police forces in several countries do not bother with frivolous EU arrest warrant requests and I also believe that a nation that departs from the democratic norms of EU membership like Hungary should not benefit from the privileges of the EU arrest warrant. The EU arrest warrant is a much more flexible arrangement than the ghastly treaty Blair signed with the US which for example has seen the extradition of Baba Ahmed on serious terrorist charges on the flimsiest of pretexts (and by not being white enough to have a Daily Mail campaign, he was not granted the same reprieve as Gary MacKinnon). I agree with you Urban, the British can then also have new non-EU passports and may require visas for entry. British citizens living abroad will have to have their automatic rights to residence reviewed and may no longer benefit from tax agreements and certainly not from EU health services. Let’s also not forget that EU countries will also be more inclined to support EU trade and taxes and duties could make British goods non-competitive. I’m all for it … it’s like that boyfriend you’ve been with for years who wants all the benefits but won’t make the commitment! Should they opt out of all eu police co operation? Of course not!! That would be a plainly stupid thing to do. Organised crime and terror groups would be able to exploit that lacuna readily and easily and THEY SURELY WOULD. Where I do think we should draw the line is at the investigation thresholds and offence definitions. It seems wrong to me that an individual in any country can be lifted in the strength of a warrant where it would not happen if the matter had arisen domestically either because the conduct alleged did not amount to an offence in the country being asked to arrest him, or because no power of arrest or suspicion threshold test applied in the country requesting it. This would clearly amount to a potential injustice, and for that reason I would make sure that additional tests would require the courts to consider each of these applied before they would sanction this type of cross border activity. It would of course have the effect of raising investigative standards to the highest rather than lowest common denominator and prevent extradition for dodgy political reasons and spurious ‘political’ charges. It’s the 1 June 2014, not 1 July. Sorry, well spotted! We have corrected the date of the deadline (the UK parliament gives it as 31 May 2014). I do not want an eu passport only a British one . We but more from you than you buy from us . eu ciitizens will also loose free movement and leave to stay rights . good on the Health services as most `eu` citizens coming hear pay nothing at all even if they should. It`s like that girlfriend , you go out for a day as friends then she thinks your married. An arrest warrant in Britain is issued after very serious analysis of the crime and a clear picture of the likely perpetrator is identified whereas it seems that many EU countries simply issue an arrest warrant on a pure suspicion and only undertake a real investigation after they have a person in jail and this is where the problem lies. All EU countries should be required to prepare a detailed analysis of their suspicions, so that the judges of the country in which a potential perpetrator resides can make an assessment of the quality of the case against the person and if they agree there is a case to answer, they can allow the warrant to be enacted. With a use of this process, opt-outs are unnecessary as safeguards are then in place. Can we get a referendum in Netherlands too? Our politicians might be surprised to learn that here too it is the political class that is for it (for the tax-exempt unelected jobs and the ability to bypass democratic parliaments) and the people are either lukewarm or opposed. Don’t pretend the British people are the only ones opposed. This is the case all over. The unelected Brussels crowd just doesn’t want to admit it. All we needed was some level of economic cooperation (EEC). We do not need political integration (and not just because its undemocratic), we certainly do not need the Euro (a disaster for all but the rich and corporations). No fiscal transfers. No fiscal union. Ever. Thou shalt not get our pension funds. Britain should do what’s best for Britain, which is to opt out of everything. Britain is better off without the EU, but the EU is worse off without Britain. After all, who are they gonna get to cover the loss of Britain’s net contribution? France? Don’t make me laugh. UK should opt out of what ever it wants.Dot Bekker very happy with what you have described, I’m looking forward to it. Speaking of police/justice cooperation. Arrest all those who run the ESM! Oh wait, we cannot, they’re immune, despite that they can steal our money and give it to other countries. I totally agree with Mr. Juan Fernando López Aguilar.. Thanx for the reply and I am with you in those that you mentioned..
@alex merkin. I am also a pro-euro Brit, but I want a referendum. I believe we can win it and it might help shut-up the ‘drawbridge’ right wing. Off curse it is, or we are all equal or there is no reason for a “union”. Only the politicians are in favor. If Britain moves out, they should call it liberation day. It is the duty of the state to protect its citizens ,to ensure civil rights and a fair trial and to uphold liberties enshrined in the magna carta and habeas corpus. (UK legal provision that prevents unlawfull detention). The old extradition treaties and co-operation between police forces in dealing with serious crimes worked , Different countries have different takes on what is and what is not a crime the EAW puts us all under the laws of all states . That is unacceptable to freedoms , liberties and democracy. All states should take another look at this but for now and to answer the question , co-operation is great the EAW is not. If UK doesn’t want the cooperation and the integration between the EU members or the Eurozone member States, must say and must decide if to exit from the EU. United Kingdom stop all accords and it is not possibile much more. Opt-out from a West European Usurers Corporation does not signal the end of the World; should a real European Union have existed, then my compatriot Christos would have been right! The Latin nations have inferior police forces, inferior legal systems and inferior justice systems. When the Latin nations raise their game to the levels of the UK or Denmark etc then maybe we should coalesce our Police forces. Until then NO!! You don’t get to ‘pick and choose, the EU isn’t an open menu” as some politician in the EU already threw this in the face of smug british PM David Cameron. You either take the package or you can get out altogether, no one likes a spoiled brat. Those that are picking up the bill can choose what they want from the menu, those who are having it paid for them should be grateful for what they get…. NO Paul, everyone is ‘picking up the bill” not just Britain. Nobodycares that you pay more or you pay less. If we’re going to rub in the faces of others that “hey we PAY more” then we might as well not join any union altogether. Selfishness and smug arrogance has no place here. And they’d be better off for leaving. Let the Eurosoviet Union wither and die like it deserves to. Like with that success story of theirs, the Euro. Succesfully plunged millions into unemployment and poverty whilst the Barroso’s and Rompuy’s are champaigning it up and pay no taxes. The UK is the third highest of the 11 net contributors to the EU budget, 16 countries benefit from our contributions. Explain to hard working UK taxpayers why their money should be going to these countries when we have plenty of problems in our own country? The UK holds the ‘balance of power’ when it comes to deciding the 21st century hegemony to compete with the Chinese. WITH the UK, the EU can compete with the USA for said position. If the USA & UK unite the EU will be just a bit player – if you then add the UK colonies of Canada, Australia & NZ then the EU will be a backwater. If the UK leaves the EU then the EU will ultimately become a Latin state – something the Germans will STOP at all costs. The Germans NEED the UK to counterbalance negative Latin propensities – without the UK, German power will ultimately be over-ruled by club-Med. At the end of the day ‘some nations are more equal than others’ – this is why the French have Follywood tax breaks (i.e. those used to support the laughable French film industry) – the UK WILL pick its cherries ELSE the EU will slowly but surely become marginalised. Exactly. The UK holds the balance of power and has all the aces. Urban, the UK buys more from our EU cousins than we sell , it is us who will dictate terms on trade . If France wants a cultural [costly] exception for ‘culture’ then EVERY nation should have same too. Euronews, created as a counter to the Anglo-Saxon view (how on Earth can it be called a ‘news’ channel with such a prejudicial remit?) should be moved to the UK or Germany. The UK should have all its fishing grounds & rights restored – the current deal favouring Spain and Portugal costs the UK £3billion per annum and has lost the UK 100,000 jobs!! Close down the Strasbourg parliament and create a new one in the UK or Germany. Make English the only official language of the EU – thereby saving billions per annum and helping to civilize Club Med with the largest most expressive. most incisive and most multi-cultural language in the world!! Does a drunk dictate to the landlord the terms on which the beer is sold? Whether the UK opts out, withdraws or stays in will not make much of a difference. The UK is already an outsider in the EU. The only decision which would make a difference is the UK asking to join the euro. This would certainly change others’ opinion about the UK. However, the UK joining the euro is a political impossibility. My bet is that we’ll see the UK and the EU drifting further apart in the years to come, until UK membership has become worthless (if you’re UKIP) and meaningless (if you’re a eurofanatic). some countries want to pick the cherries from the pie…. Theresa Mays is power hungry she threatened to take the UK out of the Echr .Diffintley the Uk should stay in the EAW and everything else British Gouverment opt-out of including Schengen and the Euro. Not at all!!! If you are there for good things and take profit from them you should be there for the worst too…its like marriage! Theresa Mays is power hungry she threatened to take the UK out of the Echr . Definitely the UK should stay in the EAW and everything else British Gouverment opt-out of including Schengen and the Euro. We should keep united…many hands make light work! As we are coming out of the EU there is no point in “opting in” to any of these measures. In any event, these matters would have to be put before the people in a Referendum of course, because they touch on the people’s own Long standing Common Law Constitution. David Fuzzey. We are indeed better off out. Perhaps you should get this message out to all your members? As we have been denied a REFERENDUM before the 2015 General Election (Plus, it is very unlikely the LIBDENCONS will get in POWER again for a long time, we are going to use the General Election as the REFERENDUM we have been denied since 1972/3 and going to vote only for those Political Parties or Organisations that want OUT of the EU ASAP. There is absolutely no point in voting for any of the major three we have so foolishly voted for in the past, for they ALL WANT TO REMAIN IN THE EU-FOREVER. Yet they would still like to be paid as if they are indeed governing this Country. The only TRUE and lawful way to Govern this Country is by its 600 year old Common law Constitution that so many gave their lives for in the 1939 to 1945 World WAR. As “opting in” to Policing and Justice and Home Affairs touches very strongly on our Constitution, it may well be a matter of treason to “opt in”. All, including our elected Government and all Members of Parliament also so swear solemn Oaths of Allegiance to the British Crown before they may take up their seats in Parliament, even though some people have freely voted for them. To propose to ‘opt into’ those matters (particularly if those “opt in” were permanent, would not, I suggest, be in keeping with those solemn Oaths to the Crown, and through the Crown likewise to all UK Citizens. Every country should have the freedom of leaving an association that do not believe it works for the common good. What’s wrong with UK is, first they do not just leave, second they want all the benefits and do not share any of the expenses. ……and I’m still waiting for someone to write a list of “all the benefits” I’m getting for my hard earned taxes? Dear Vicente Silva Tavares, the people that pay their taxes “TODAY” have not had one say on whether they want TO BE IN or REMAIN in the European Union. They allegedly freely elect and contribute financially to the pay and vast expenses of those that sit on those GREEN Benches in our House of Commons yet none of them can Govern our Country through its Common Law Constitution-which is the only way it should be Governed. TO OPT IN TO POLICING AND JUSTICE AND HOME AFFAIRS IS BORDERING ON TREASON IF NOT ACTUAL TREASON. This is only the very beginning of what may happen before these 2014 OPT OUTs are opted back in to, for the people cannot keep voting and paying for those three major Political Parties that want foreigners to govern this Country. If the people in all the other countries in the EU want to continue to do so-they will never get out of the finacially troubles they are already in. The people of the UK have been paying for two Governments and Three Parliaments for 41 years. Sorry but we cannot continue to do that any more. It depends whether this Government OPTs in to anything rather than remain with the OPT OUTS. The 2015 General Election will decide whether we are in our out of the EU, for we are using it as the REFERENDUM on the EU we have been denied. I think that UK should be fully involved in all EU policies. I have a feeling that there is a diversion being created – EU on one side and UK on the other. It is all the same. There is no two European Unions, there is only one. That’s why if there is something agreed by all the member states, it should apply to all countries. I would even vote for UK to adopt the euro currency. The debate about UK quitting the European Union doesn’t make any sense. Thinking that one county can do well in the modern word is a nonsense. The other question is what would remain of UK next year, after Scottish referendum. Who knows, maybe after Scotland it is gonna be Northern Irleand? UK must stay inside the EU. Europe must be united to tackle the difficulties of modern world. Even if this Government opt’s OUT of Justice and Home Affairs and Policing in 2014, please remember that if any of the THREE MAJOR POLITICAL PARTIES GET INTO Government in the 2015 General election-THEY CAN STILL OPT IN TO Justice and Home Affairs and Policing. Who you vote for in 2015 is the most important GENERAL ELECTION you will ever have, because if you vote for those that want to remain in the EU-forever-THAT IS EXACTLY WHAT YOU WILL GET. Take a break and… just imagine the life in an UK outside of EU.. in the view of the promoters of such solution..
How long the British economy will resist without EU common market? Strangely the UK has survived for many hundreds of years without the EU, for we have the wonderful free Commonwealth with us, not dominating us or making laws we have to obey and if we do not, be fined very heavily. We do not have to pay billions and billions of pounds to be in it either. They stand by us no matter what and they do not scorn us when we make a decision. Even if we get it wrong at times, like remain in the EU. There is absolutely no point in having a National Government if it cannot GOVERN its own Country in ALL matters, especially such as this.